Winding up in the emergency room can be a scary situation. The Center for Disease Control and Prevention lists some riveting facts about emergency rooms in the United States. As you can see, ER visits are common and seventy percent of people wait longer than fifteen minutes. In the heat of an Emergency, you often don’t consider the difference in the facility that you go to, however; where you end up with your ailments can make all the difference. 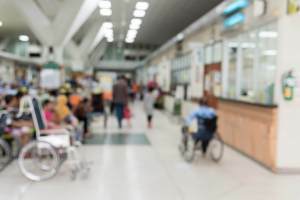 Hospital Emergency rooms are busy places visited often with wait times that can be frustrating but that can be avoided entirely at Free Standing Emergency Rooms, such as SignatureCare ER. When you wind up in the emergency room, you want to be prepared so you can get processed and receive treatment as quickly as possible. Whether you’re facing a 3 hour wait time for no wait time at all, below are three items that emergency room staff want you to bring so that you can receive the appropriate care you need as efficiently as possible. When a doctor treats you, they need to know what medication you take so they can ensure that any medication they prescribe does not interact negatively. In addition, your medication will give the doctor a holistic picture of your health to provide better treatment. Providing a list of surgeries can al so give the same useful information. Armed with the prescriptions you take and your surgical history, you may just get a quicker diagnosis from the doctor. Emergency rooms see patients in a certain order based on certain criteria. Thus, if you come in with a non-threatening injury, such as scraped knuckles from broken glass where the bleeding has stopped and there is no glass in your hand, you may be bumped down below the person who cut off the tip of their finger. See also: Five Health Facts That May Surprise You. In addition, hospitals can get flooded with patients based on a number of factors that are out of their direct control, including what happens in the area or if someone calls out with no replacement. Be patient and realize you are not forgotten and that your care will come. Being in the ER can be scary. You don’t know what you will encounter or what your diagnosis may be. If possible, bring someone or let someone know you are going so you are not alone. This can offer a huge boost of love and care in an otherwise clinical environment. Plus, your company can advocate on your behalf if the need arises. Coming to the ER is no one’s choice for a night out. However, if you do wind up there for whatever reason, be prepared. Have a list of medications and surgeries on you at all times along with a medical ID card with pertinent information about you and your emergency contacts. If you don’t have one, you can get one here. Bring patience and company to help provide an atmosphere of emotional comfort. Now that you know the three keys to receiving faster treatment in the emergency room, we hope the next time you visit the ER, your wait will be minimal.